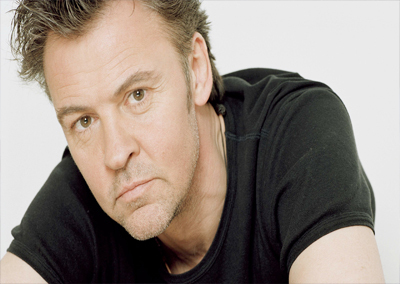 Paul Young is an English singer and musician. Formerly the frontman of the short-lived bands ‘Kat Kool & The Kool Cats’, Streetband and Q-Tips, his following solo success turned him into a 1980s teen idol. He is famous for such hit singles as “Love of the Common People”, “Wherever I Lay My Hat”, “Come Back and Stay”, “Everytime You Go Away” and “Oh Girl”. His debut album No Parlez turned him into a household name. His smooth yet soulful voice belonged to a genre known as “blue-eyed soul”. Since the mid-1980s, he has had international success, along with his backing band Los Pacaminos. 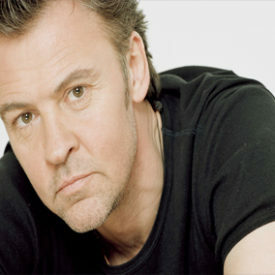 In 1985, he appeared at Geldof and Ure’s charity convention Live Aid, where he appeared at the London Wembley Stadium performing the Band Aid hit “Do They Know It’s Christmas” and his own hits “Come Back and Stay” and “Everytime You Go Away”, with Alison Moyet joining him on-stage to perform “That’s The Way Love Is”. At the 1985 Brit Awards, Young received the award for Best British Male. 2006 saw the release of Rock Swings – On The Wild Side of Swing. In 2010, Young recorded and released a new hit “Come Back”, a duet he did with electronic dance music act Chicane. The single was a sample of Young’s 1983 hit “Come Back and Stay”, and charted at 151 on the UK Singles Chart. The single was recorded onto Chicane’s 2010 album Giants. He is still touring around the world with his band: Jesper Mortensen (Drummer and MD), Annika Askmann (Perc. ), Christian Warburg (Gui. ), Mikkel Risum (Bass) and Peter Dencker (Piano).